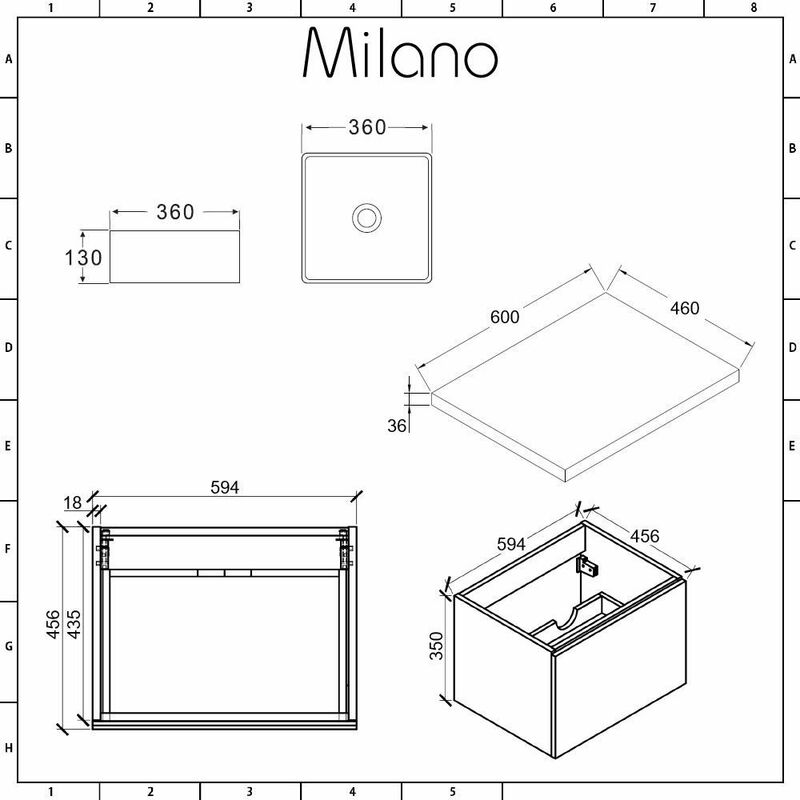 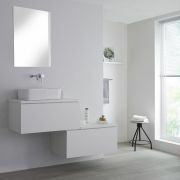 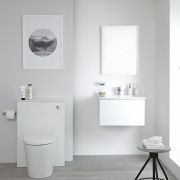 Upgrade your bathroom storage and add a smart, modern style with the wall-mounted Milano Oxley 600mm vanity unit and basin. 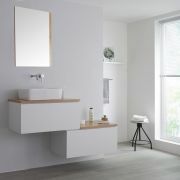 A minimalist look can be achieved thanks to the generous push to open soft close drawer to enable you to store your toiletries and cosmetics out of sight. 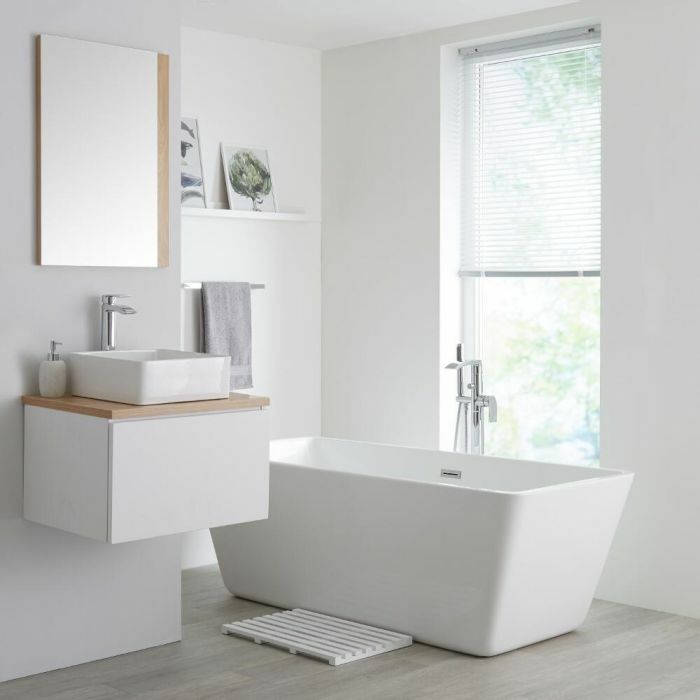 The moisture resistant engineered wood construction is accentuated by the contemporary matt white and golden oak woodgrain finishes to ensure a long-lasting finish. 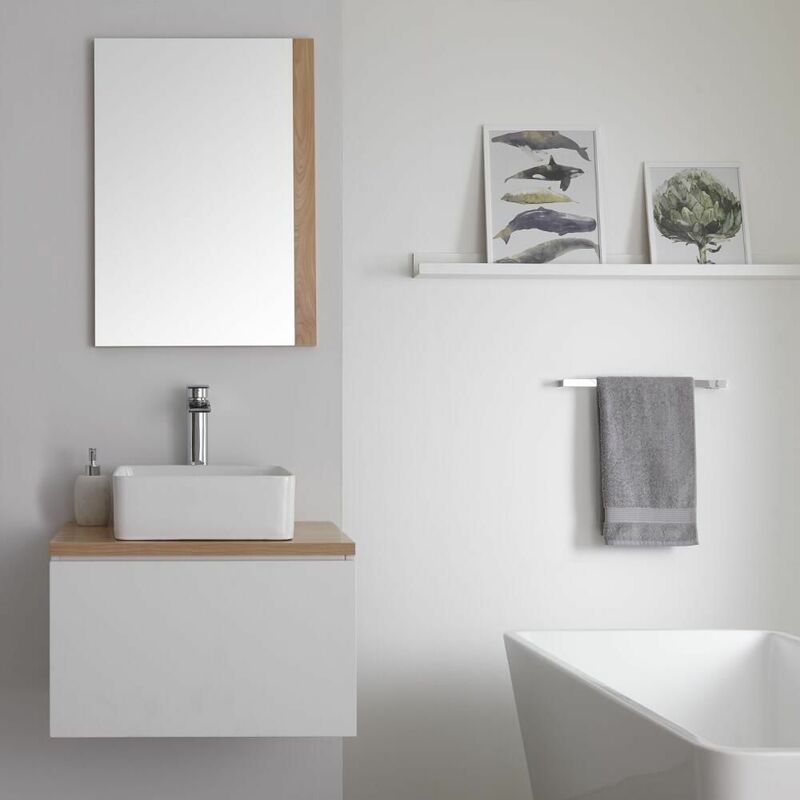 Featuring a high quality, easy to clean ceramic rectangular countertop basin, the final look is customisable to allow you to choose a wall-mounted or high-rise tap from our range.